Growing up, one of The Salty Mamas (Christine) found her name on every pencil or bike license plate in town. While the other Mama (Jaymi) had more of a challenge. 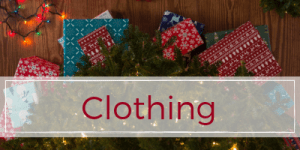 And while we didn’t veer too far outside of more traditional names, the internet means never having to miss out on awesome personalized gear. 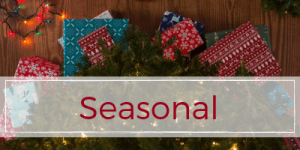 Which means amazing opportunities for personalized Christmas gifts for kids. Here are some of our favorites, that might just be showing up under our trees this year. It’s no secret that we are BIG fans of books. And nothing is more special than a kid that loves to read than finding his name in the pages of his favorite book. So when Cole received Wonderbly’s “The Boy Who Lost His Name” we were both HOOKED. 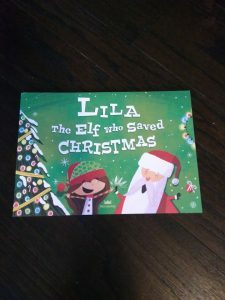 This year Lila will get to add the ADORABLE seasonal book “Lila, the Elf Who Saved Christmas” to her collection. 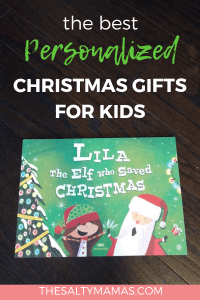 This book will be a hit during the holidays (especially if your kids are already a little elf crazy thanks to one on your shelf! ), but is so sweet that your kids will love to read it year round. 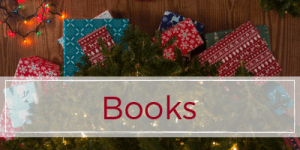 Do you have a kid that would be less thrilled with finding a book on Christmas morning? Check out “Where Are You (Your Kids Name! )” It’s a search and find book that makes your kid the star of the show. 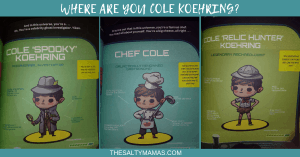 Whether they’re a chef, relic hunter, professor, doctor, or superstar, they’ll love exploring all their possible futures and finding themselves on the pages. Who doesn’t love a superhero? And while Batman is awesome and Wonder Woman Rocks. Super Cole and Wonder Evie are two of my favorites. 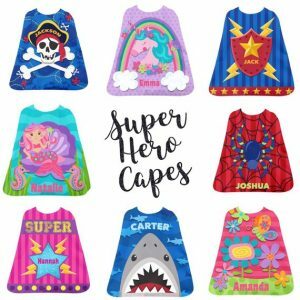 Grab one of these adorable super here capes featuring your kids name and whatever they’re into! A few years ago, my Mom got all three of my kids these personalized robes. I thought it was maybe a silly thing. Two years later, we’re getting them a new set because they’ve all outgrown their beloved robes! 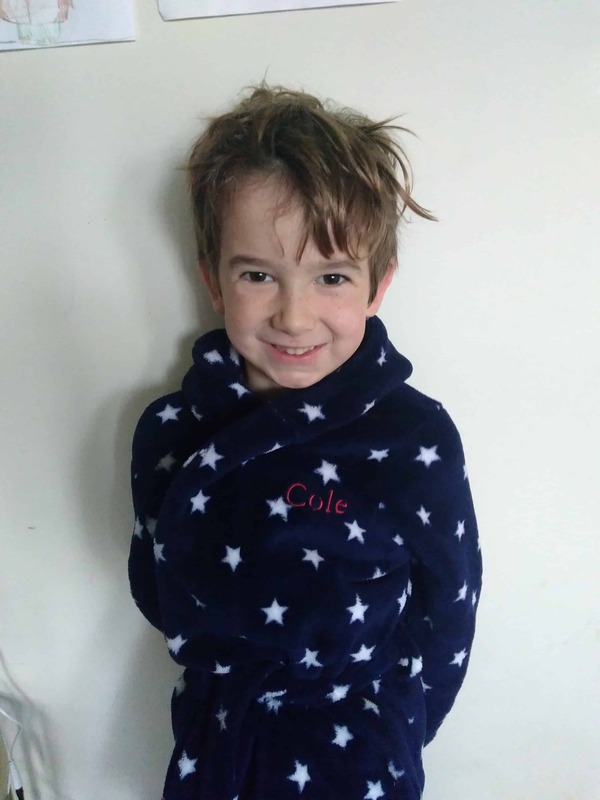 Cole, who prefers to sleep without pajamas, tosses his on first thing in the morning to eat his toast in a robe like a little old man. Evie loves wearing hers after baths when reading books. And poor Izzie was only two months old when we got the first set so she’s been jealous for about two years. I can’t wait to see her face when she gets hers this year! My kids love their play kitchen and they love dress up. So we took it next level and added these aprons to their kitchen setup. Super cute, and folds up super small, so we toss it in the play microwave to store! 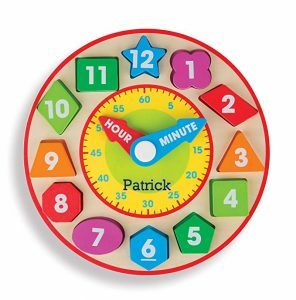 My kids are all about learning numbers, shapes and telling time, so I already think this shape sorting clock is adorable. 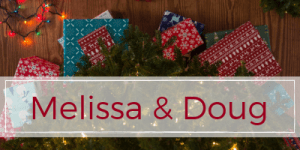 But I know someone like my Mom would love to make this gift extra special with a little extra personalization, that’s now available when you purchase through Amazon! What little girl doesn’t love a stamp set? And if they’re anything like my little girls, they also love making sure they know what’s theirs (and not their brothers!) 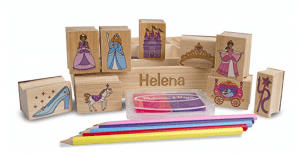 This stamp set is super cute on it’s own, but any little girl will love having her name on it. 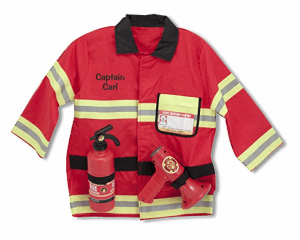 Everyone in our house loves to dress up – but they also love to fight over costumes. 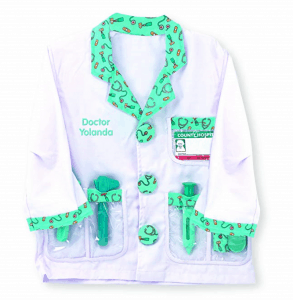 If you’ve got a house full of doctors, veterinarians, fire fighters or police officers, Melissa and Doug has you set! Looking for something that the other kids might not have? Or that will really wow someone? 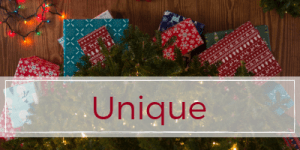 Check out some of these unique personalized gifts that are sure to impress this holiday season. Kids love to color and – let’s face it – are a little obsessed with themselves. So why not give them something to color with, that also celebrates them. 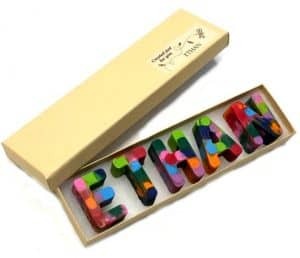 Like these super cute (and useful) personalized crayons? 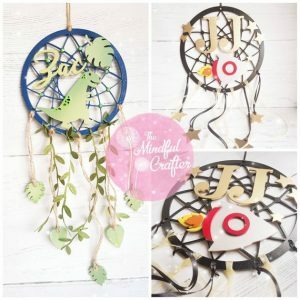 My husband LOVES a dream catcher. I was on the fence, until I saw these. 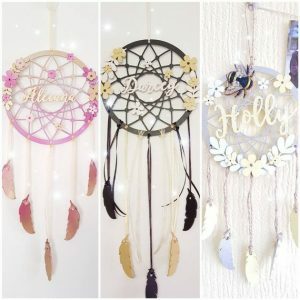 These dream catchers are impossibly beautiful, and would be perfect in any little girls room. We are BIG into our ornaments. We collect them from places we travel, have them to commemorate major milestones, and have some that would never mean anything to anyone other than us. 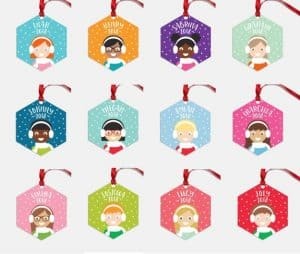 But my kids always love the ones that are “theirs.” And I’m always on the hunt for new and adorable personalized ornaments for them. So I couldn’t move fast enough when I found these on Etsy. 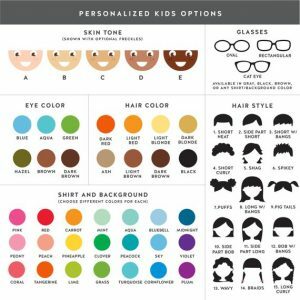 I love how much I can personalize them to look like each of my kids – and I can’t wait for my kids to see theirs! 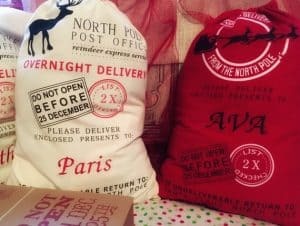 Whether your kid needs some extra nudging to believe, or if you’re starting out with a tiny baby to grow in the tradition, this Santa Bag will remind them that they’re on his list! 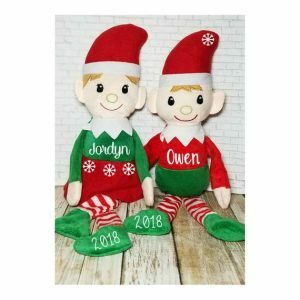 No matter where you fall on the Elf on a Shelf debate, your kid will love their own plush elf. Perfect as a stocking stuffer or to hang out with the elf sent down by the big guy himself! We hope you’ve enjoyed these personalized gifts, and hope you find the perfect things for your little ones this holiday season!